I've always enjoyed baking, but it's been only recently that I have opened myself up to world of candy making. 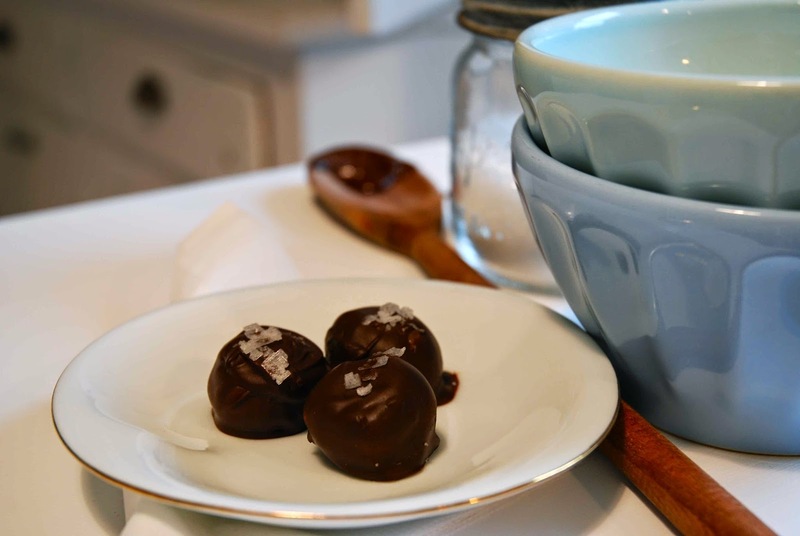 Sweets both hard or soft can be made at home with a few unique supplies and a bit of trial and error. This year for Valentine's Day I made my own homemade conversation hearts and my friends were surprised that these candies could be made so easily in a home kitchen. Actually, I was just as surprised; candy making has always seemed like some mystical process that only takes place in far away factories. But like I said, after purchasing a few supplies and one good recipe book, I've really fallen in love with making my own sweets. 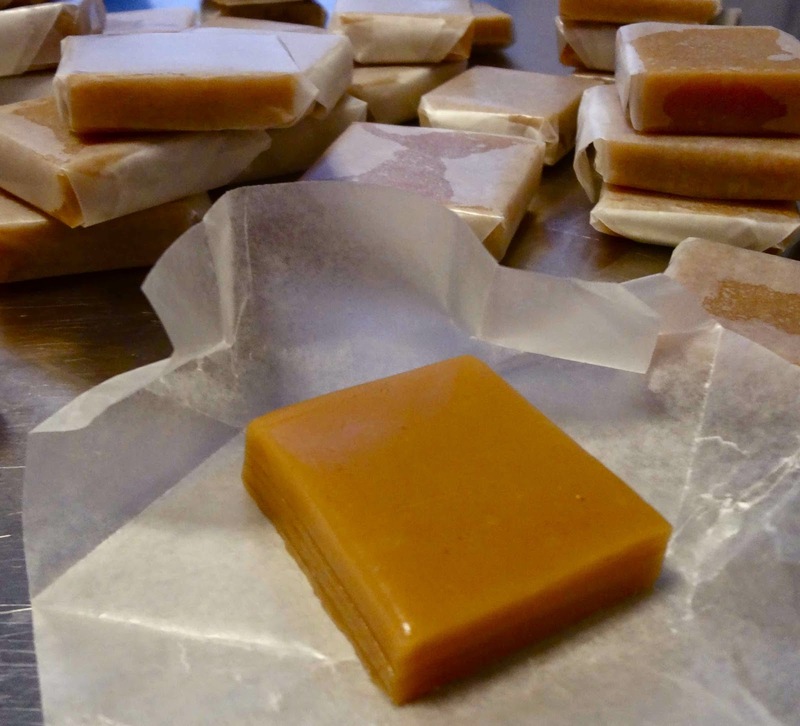 Caramels were the treat that got me interested in this new avenue of cooking. I came across the recipe in a back issue of Martha Stewart Living this past December and decided that I would make a batch for the holidays. Well, it only took me four batches to get it right, but I enjoyed the process so much. I just felt like I was making something wonderful out of almost nothing. 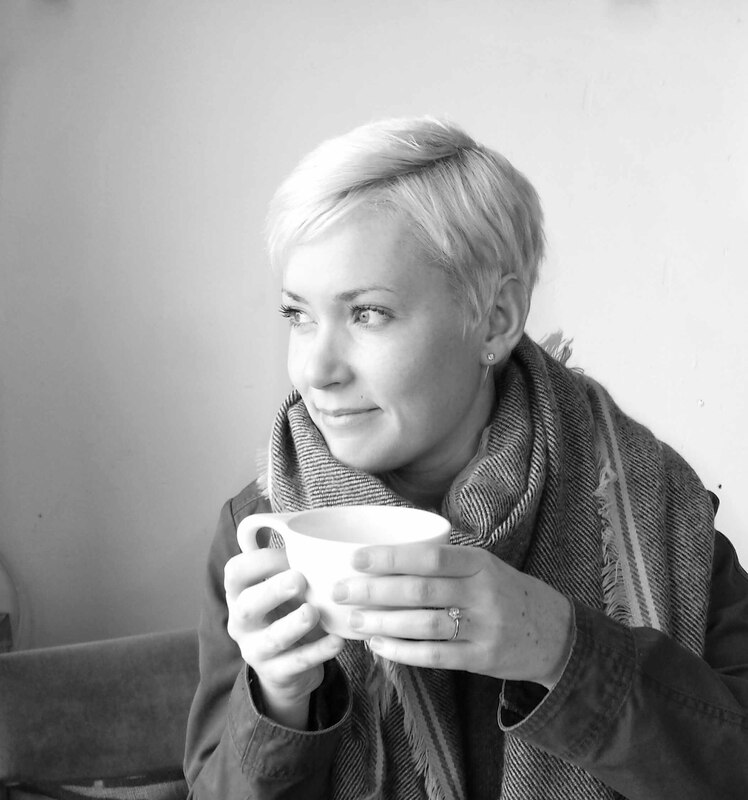 The things that you can do with sugar! It's like magic! 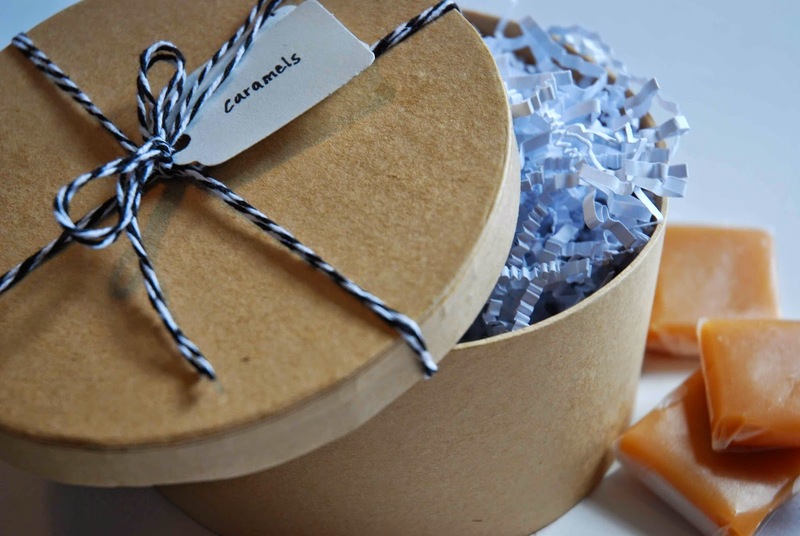 The caramels are such a decadent treat, they're perfect for giving as a special gift (hint, hint, mother's day!). 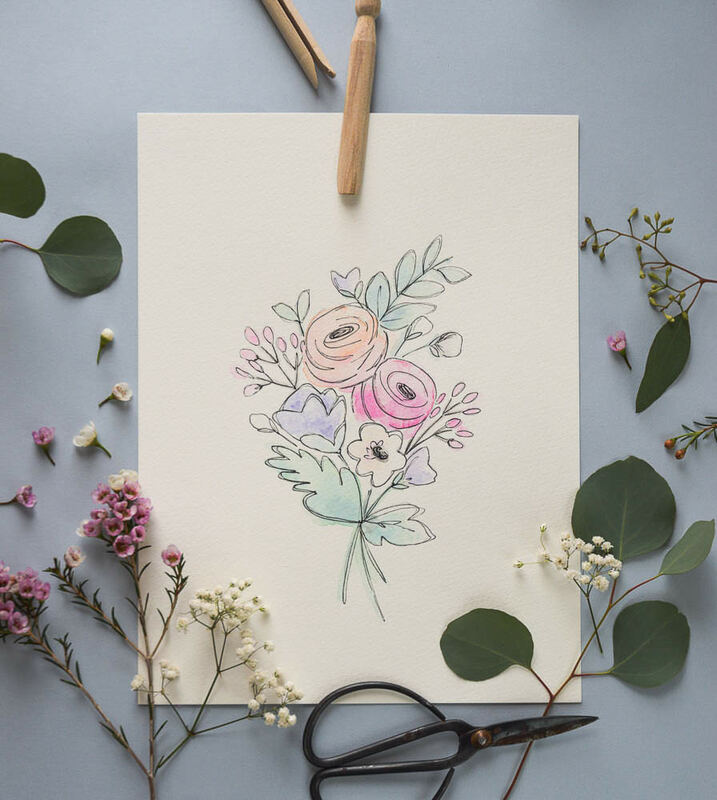 The cost to make them is quite low, but the time spent to get them right and to wrap each one individually will absolutely show your mom how much you care. As I said, this is a Martha Stewart recipe. I love Martha's recipes because they are so specific. 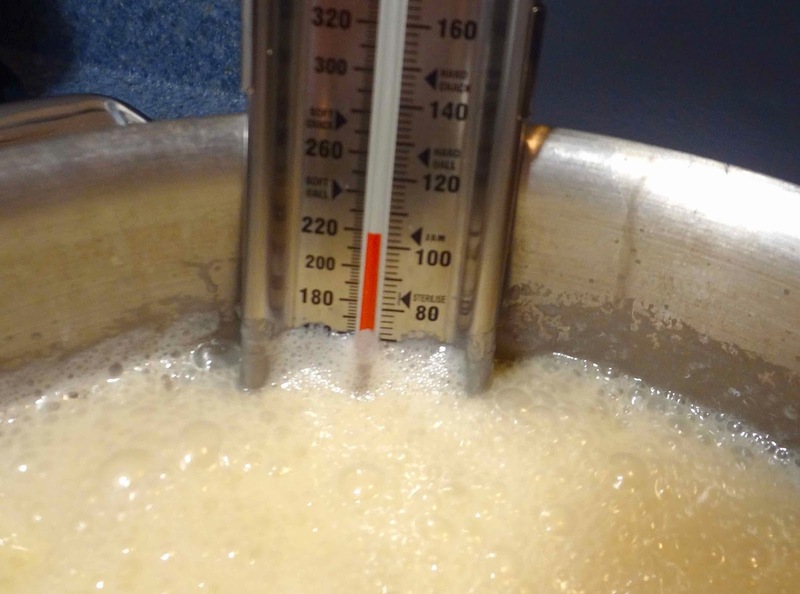 For the caramels you will need to purchase an accurate candy thermometer if you don't already own one. 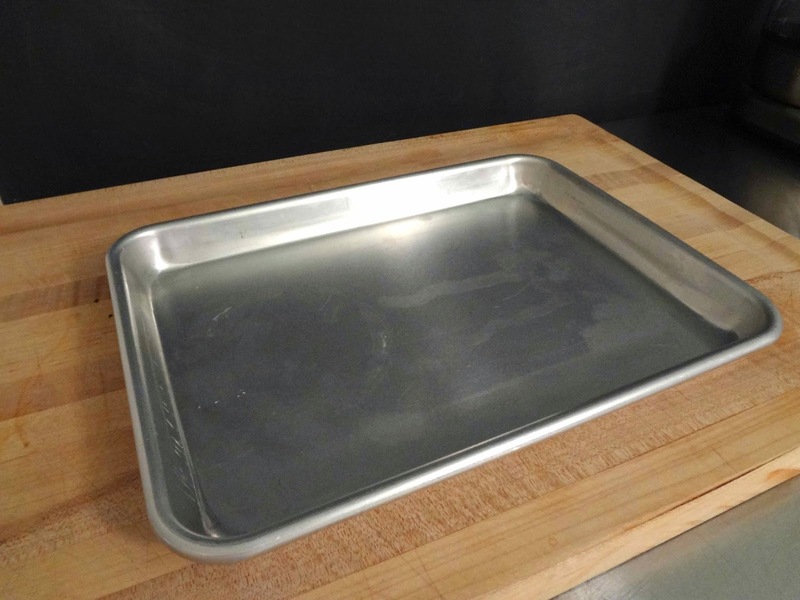 Brush the bottom and sides of a 9 x 12 inch baking sheet with oil. 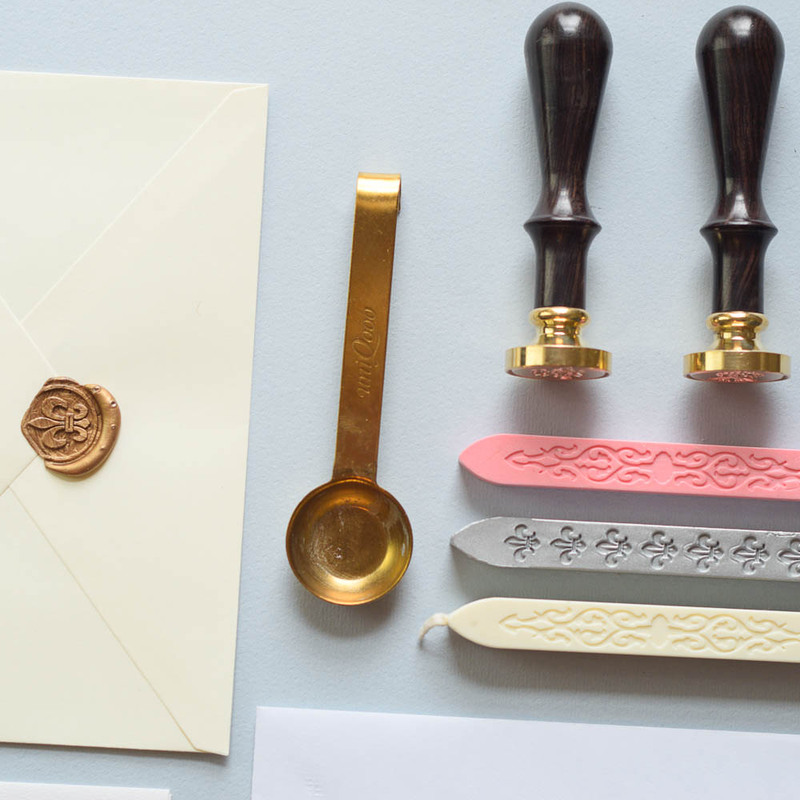 Line with parchment leaving a few inches of overhang on the long sides only. 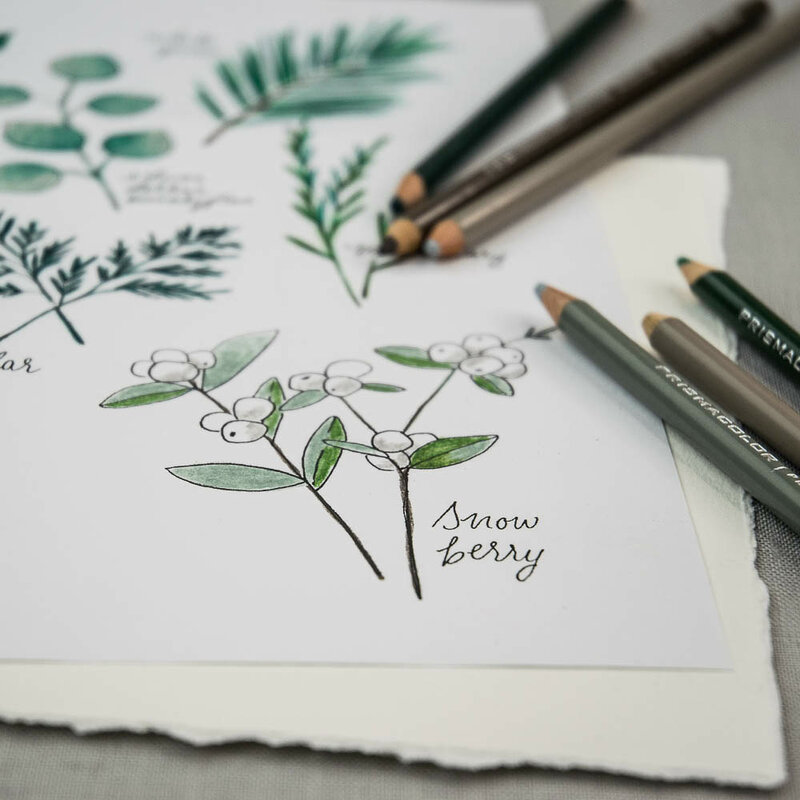 Brush parchment with oil. 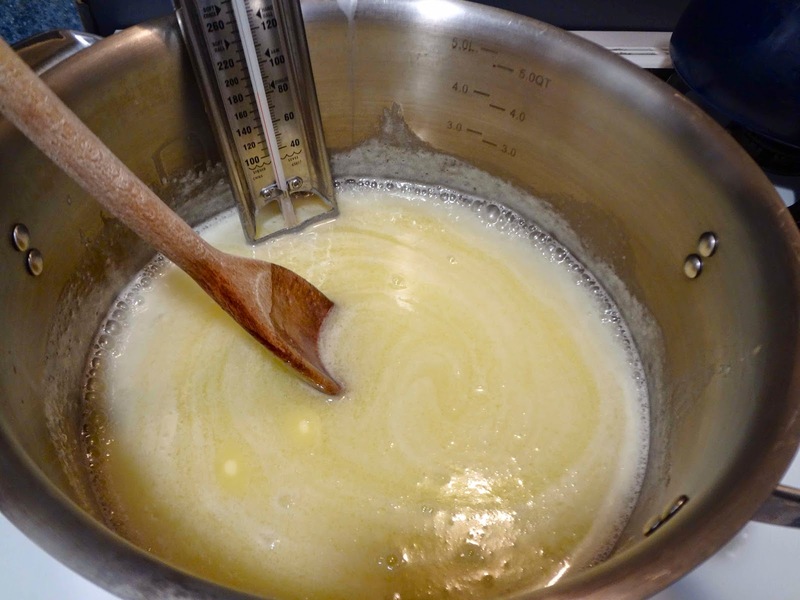 Bring cream, sugar, butter and corn syrup to a boil in a large pot over high heat. Stir until sugar dissolves. Reduce heat to medium high. 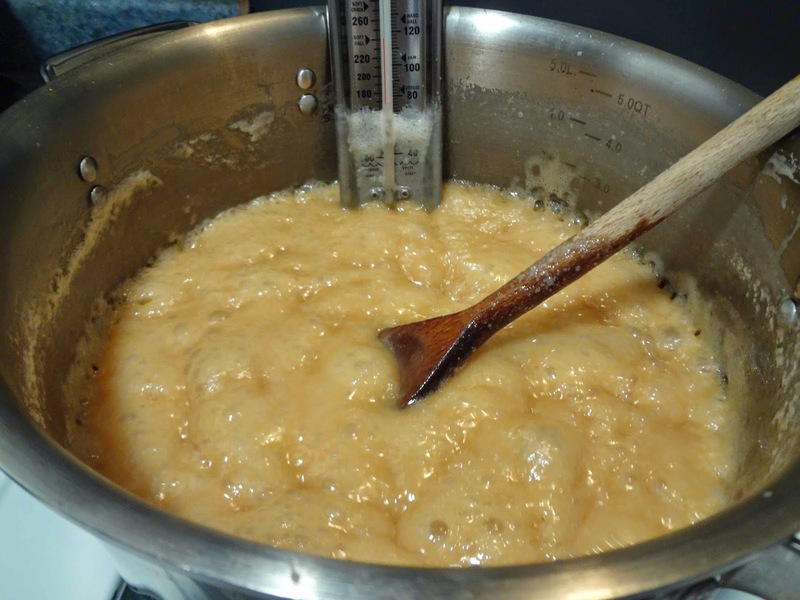 Cook, stirring occasionally, until caramel reaches 248 F on your candy thermometer. Immediately remove from heat and stir in salt and vanilla. 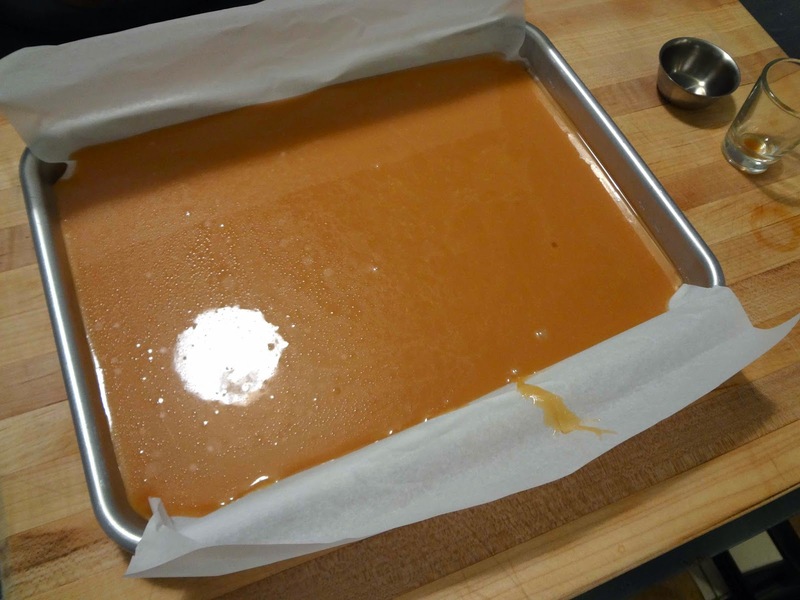 Pour caramel into prepared baking sheet. Let stand at room temperature, uncovered, at least 8 hours, up to one day. 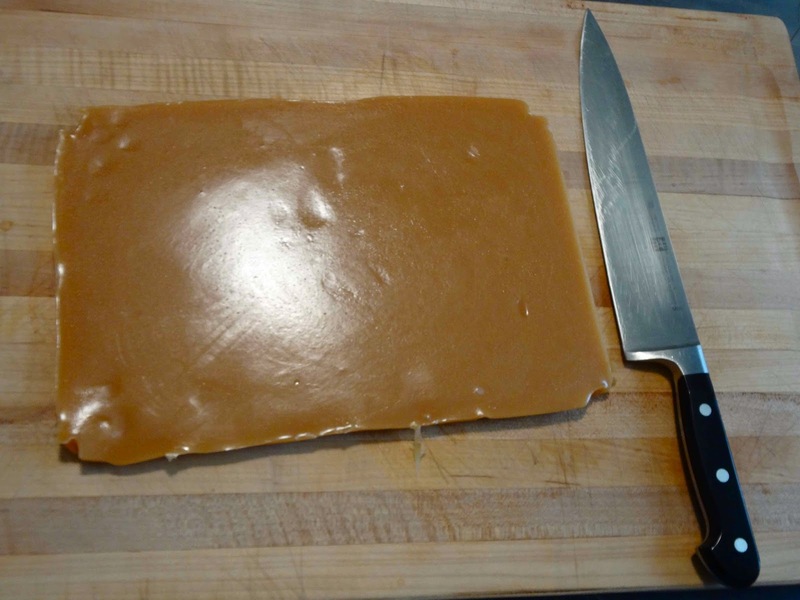 Remove caramel by lifting the parchment, transfer to a large cutting board and cut the caramel into squares. 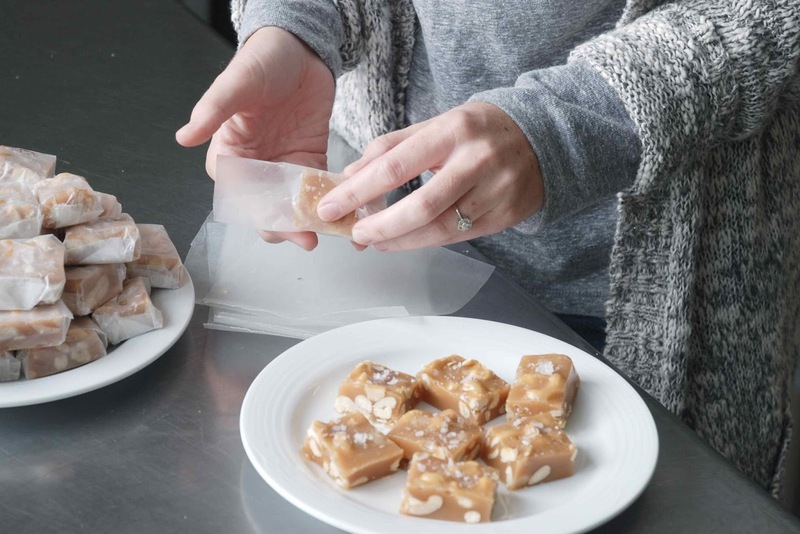 Wrap each piece in wax paper or cellophane. 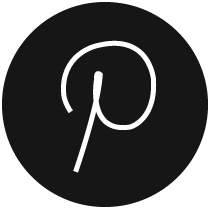 You will need a rimmed baking sheet, exactly 9x12. 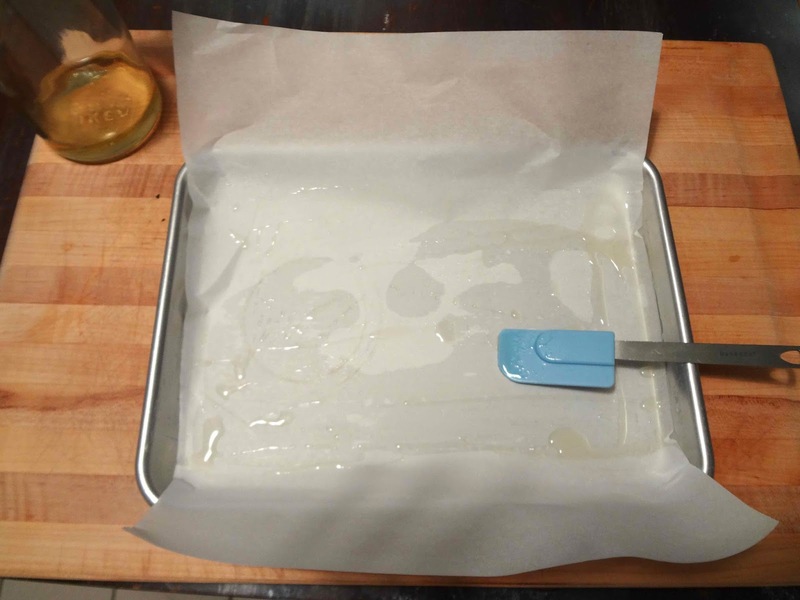 Oil both the baking sheet and the parchment paper. 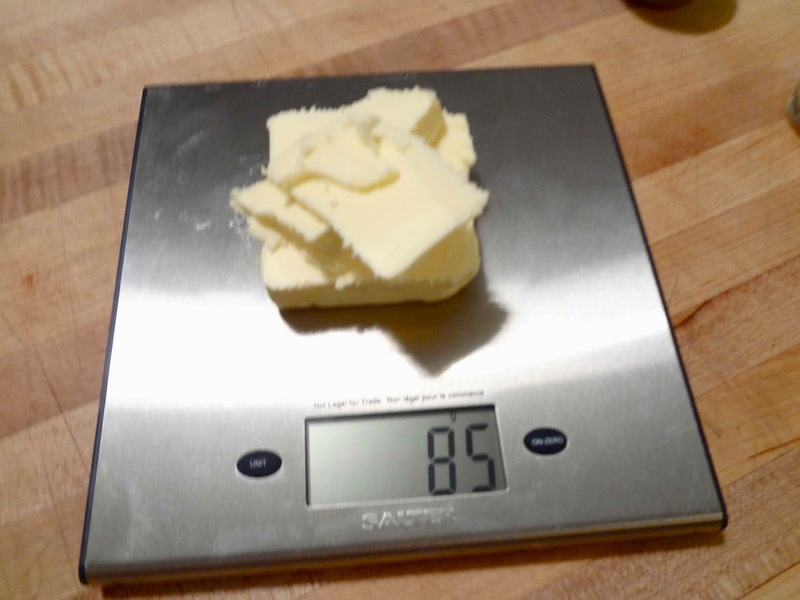 How am I supposed to measure 6 Tbsp of butter? 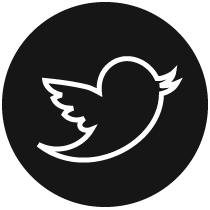 A kitchen scale makes life so much easier. Be sure to use a very large pot. 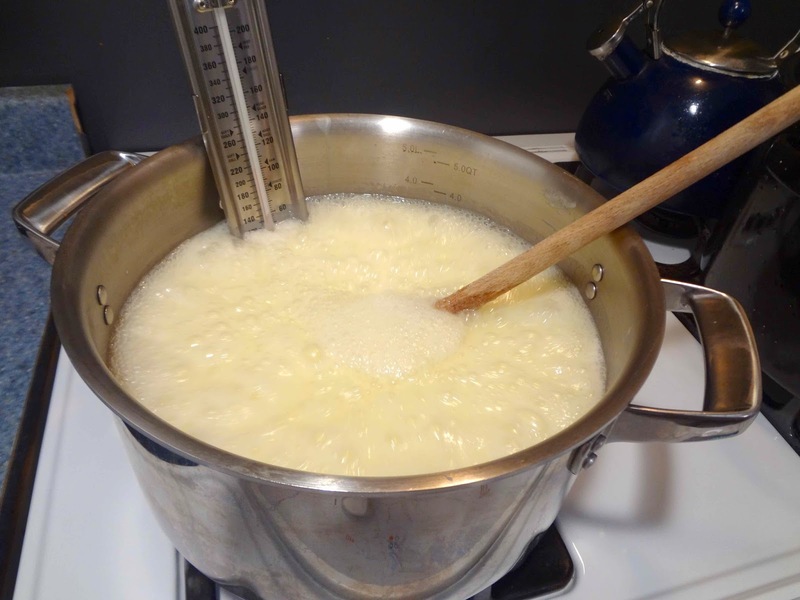 As the sugar mixture comes to a boil it will dramatically increase in size. Keep your eye on the thermometer. 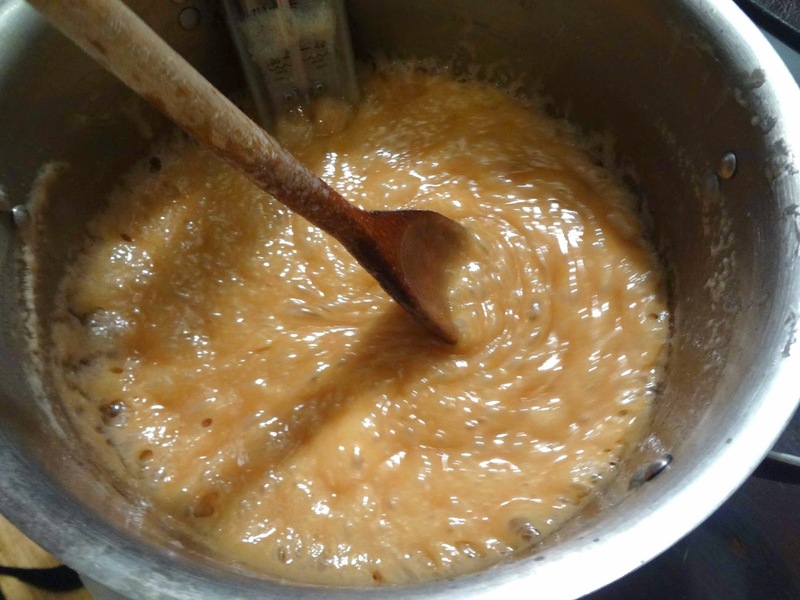 As the caramel heats up, it will begin to get darker and more viscous. 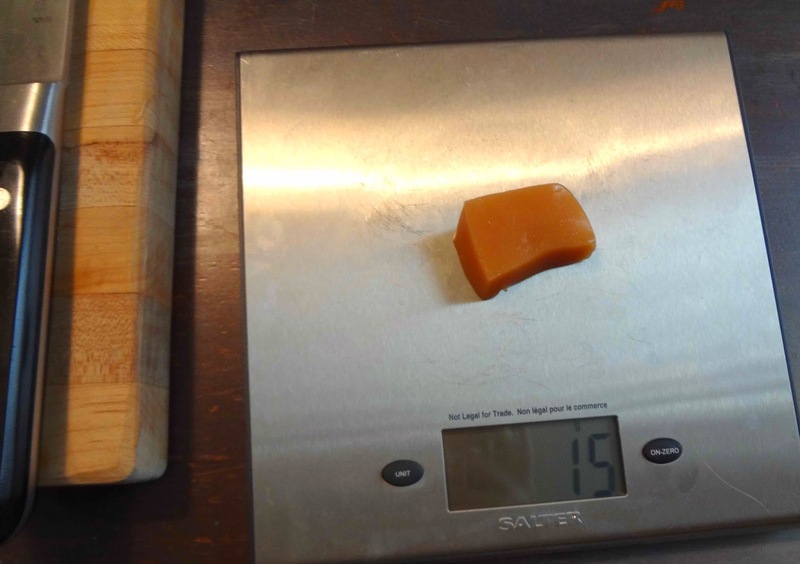 This is what my caramel looked like a minute before I removed it from the heat. Have your vanilla and Kosher salt measured and ready to go. Left overnight, the caramel should set up nicely. And it comes out of the pan super easily! 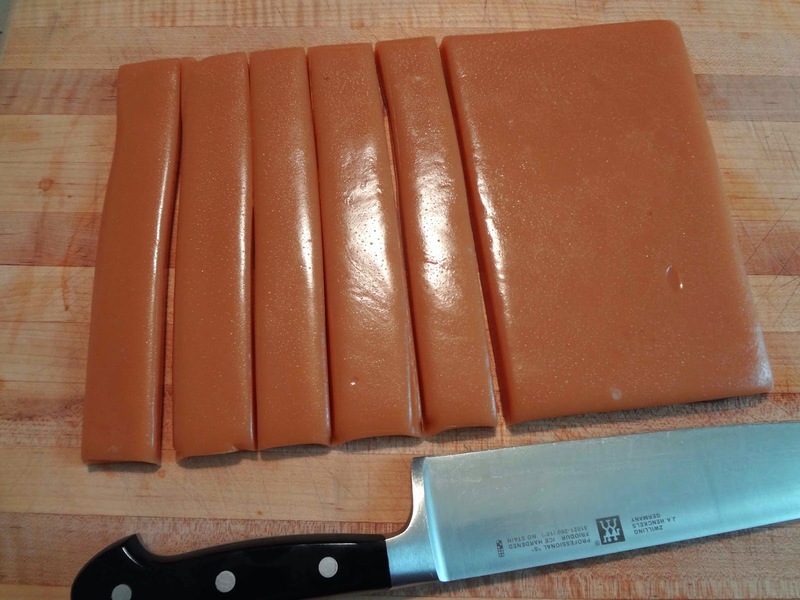 Use your largest knife to trim the sides of the caramel slab. I usually eat the off cuts immediately. Yum! 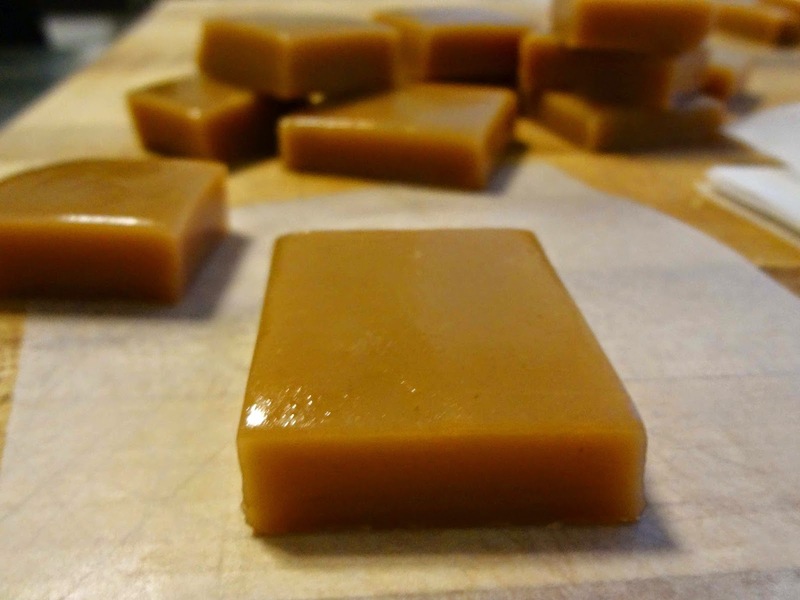 Cut the caramel into little squares or rectangles. 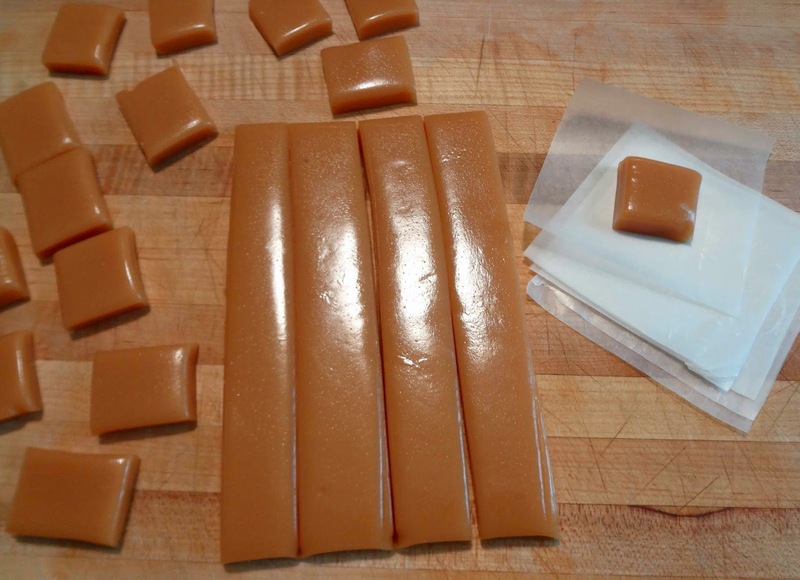 Cut wax paper into squares and fold around the caramels. A little cookie spatula helps to lift sticky caramels off the cutting board. The first time my caramels turned out well, I wrapped them in little pieces of cellophane and held the wrap in place with scotch tape. Bad idea! The caramel somehow absorbed the scent of the tape and took on a sort of tape flavour.... strange, I know. 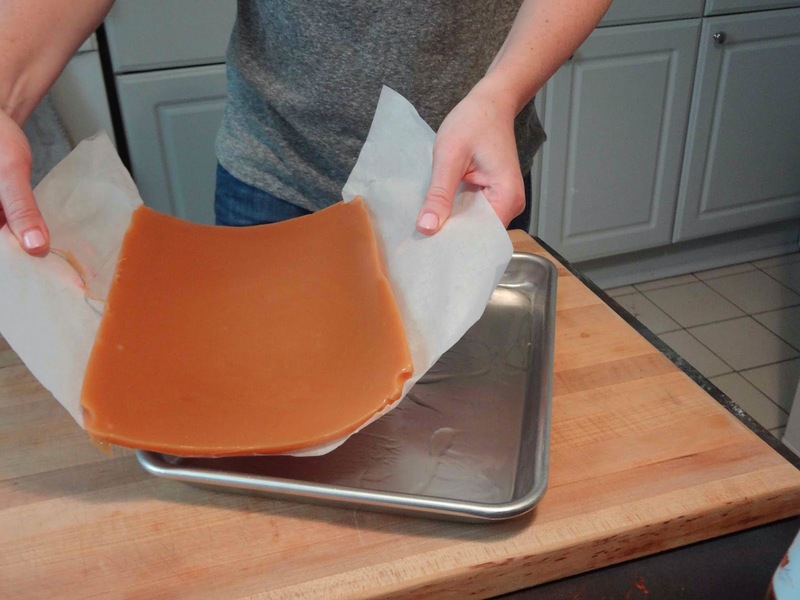 Just fold the wax paper around the candies and tuck the loose folds under the candy bottom to hold in place. So there you have it! That is the caramel recipe. As I said, the first time I made these, it took me four tries to get it right. The first batch went a bit over temperature (my candy thermometer was cheap and I needed a better one) and the caramel turned out rock hard. 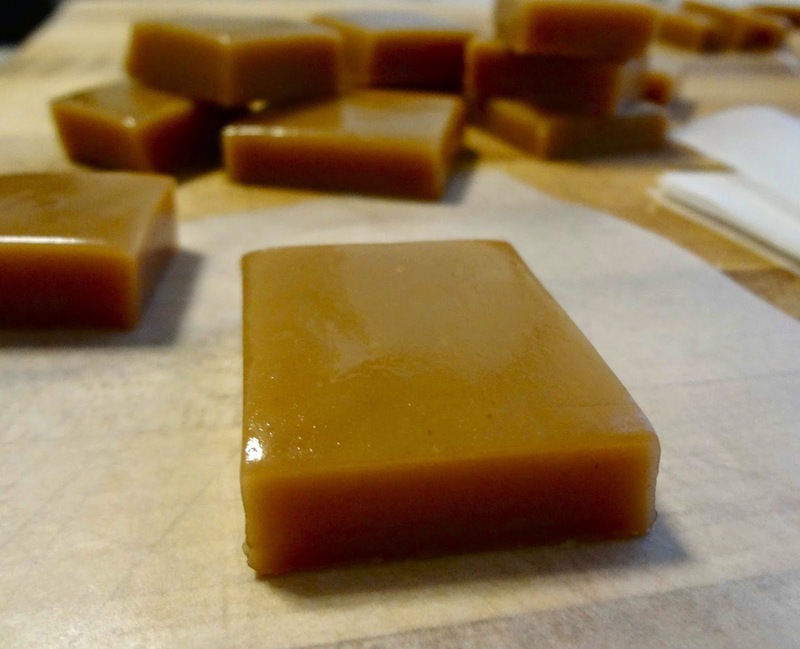 The second batch was too soft, the caramels didn't hold any sort of shape. When I cut them into individual squares they morphed into blobs. The third batch was okay, until I flavoured the candies with tasty scotch tape. But the fourth time, I got it right. 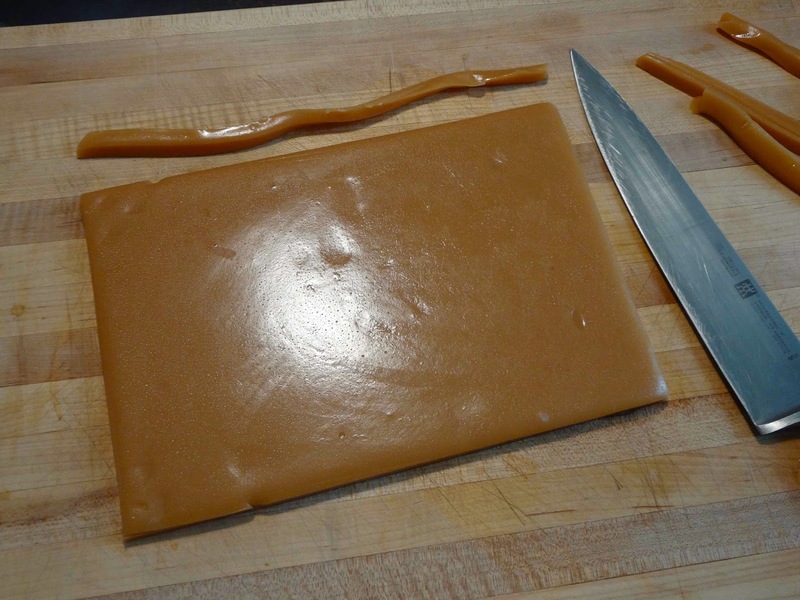 The caramels were not too hard and not too soft. They were buttery, sweet, and just chewy enough. 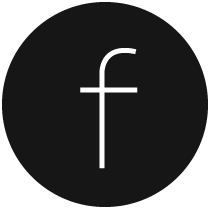 Totally addictive! So what did I do with all those other batches? I certainly didn't toss them in the garbage! 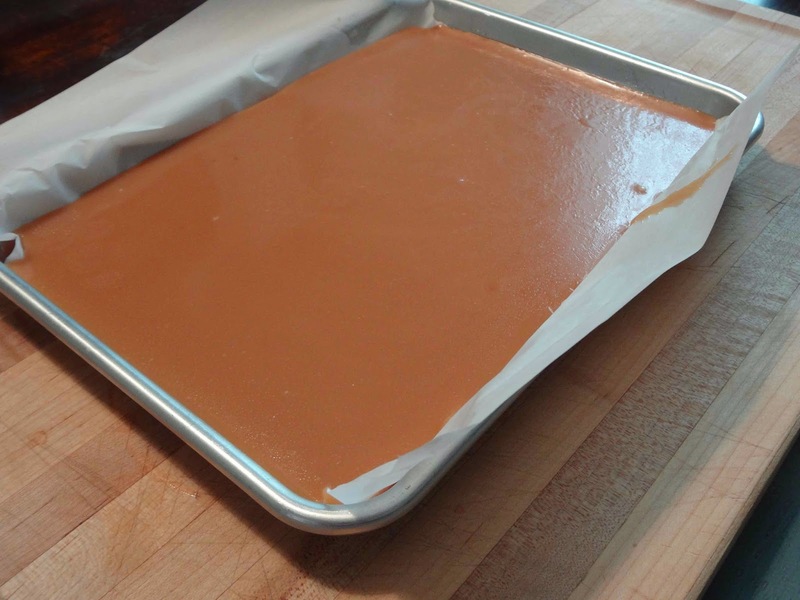 If you're candy turns out too hard (over temperature), you can always smash the rock hard caramel slab and break it into millions of tiny pieces. Those little pieces are great for cookies or you can just eat them like hard candy. 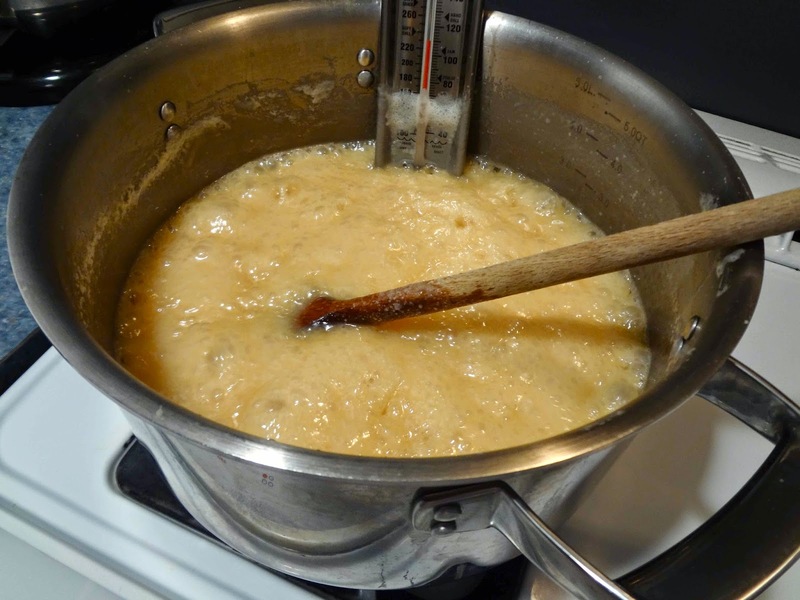 If you're caramel is a bit under temperature (you removed it from the heat too early or your thermometer gave you an inaccurate read) you can still use it! 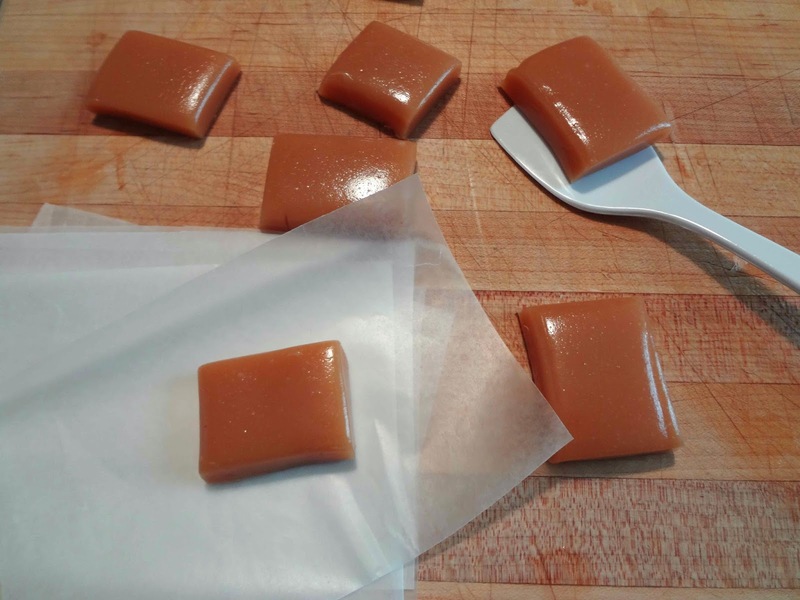 I made my too-soft caramel into chocolate covered caramels. 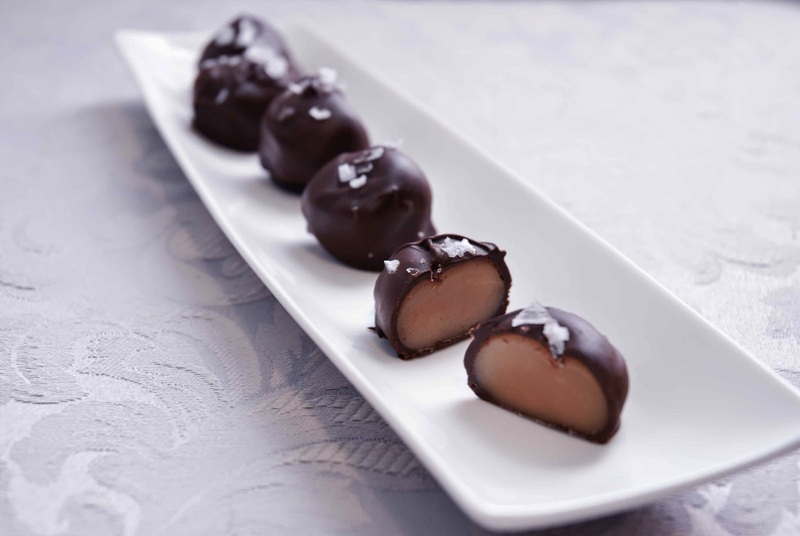 The soft caramel is the perfect texture for a smooth chewy filling, and the chocolate coating helps the candy to hold it's shape. For a perfectly uniform batch of chocolates, cut caramel into pieces of equal weight (I did 15g). Roll each piece into a ball using your hands. 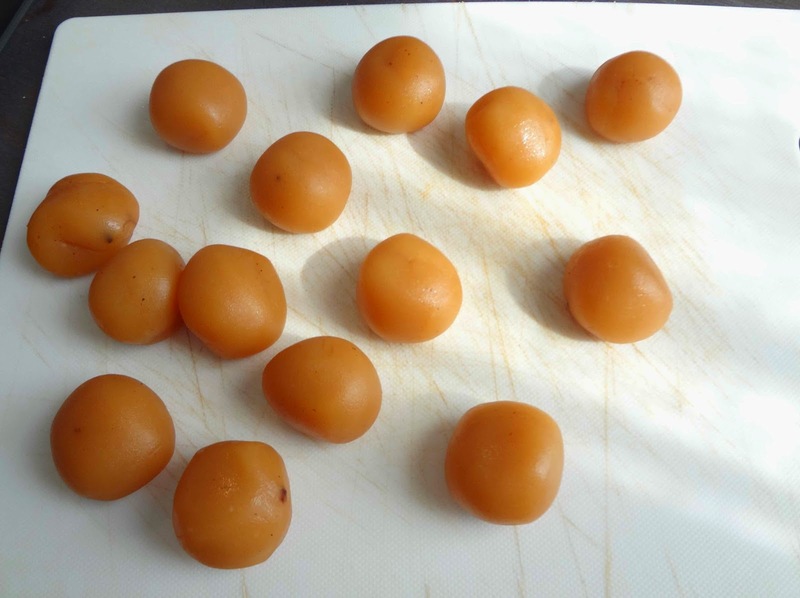 Have a tray in the freezer and transfer each ball into the cold before it can loose shape. 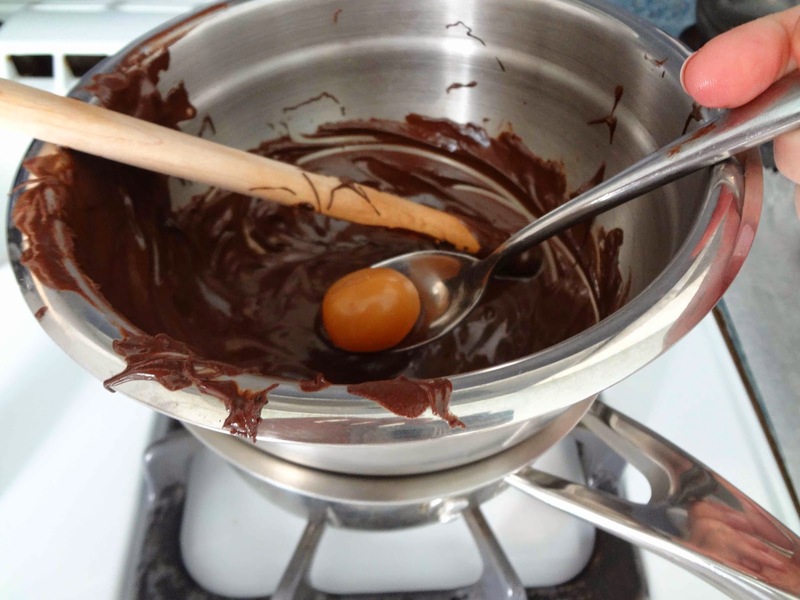 Melt your favourite baker's chocolate or molding chocolate in a double boiler. 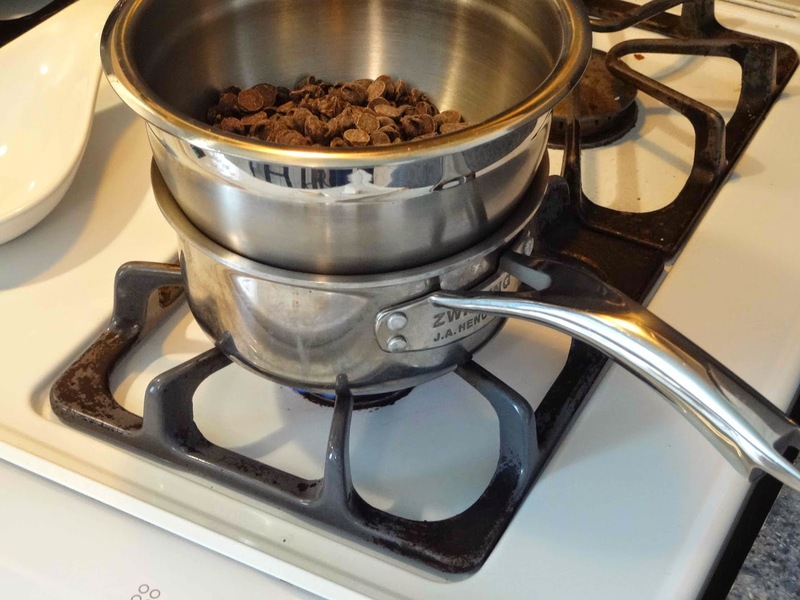 (Use a heat proof bowl and a pot filled with a couple inches of water). 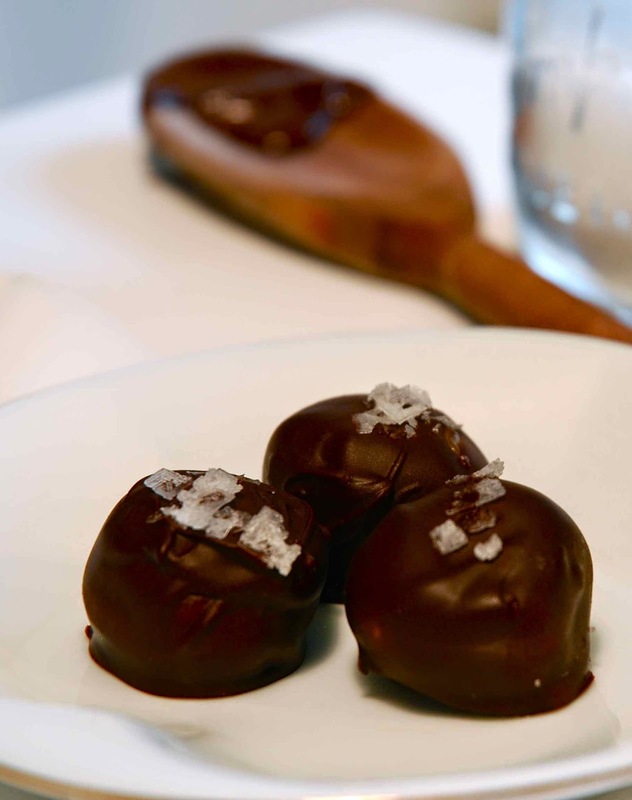 When the caramels are frozen, coat them in the chocolate. 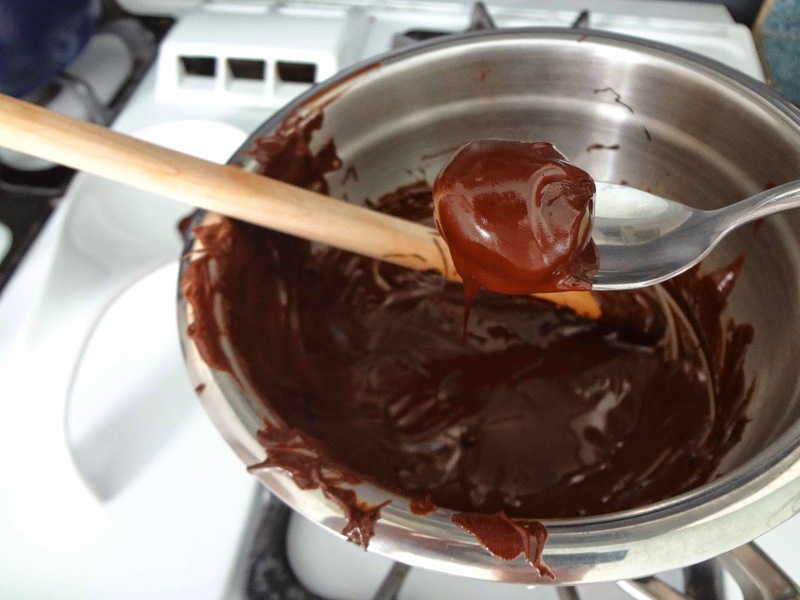 I used two spoons to dip and coat each caramel in chocolate. 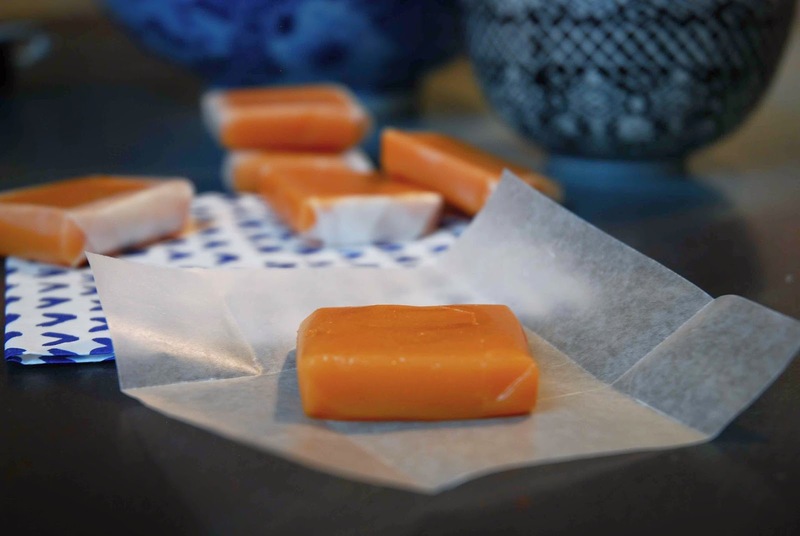 Place candies on a tray lined with wax paper. Sprinkle with a topping if you like. 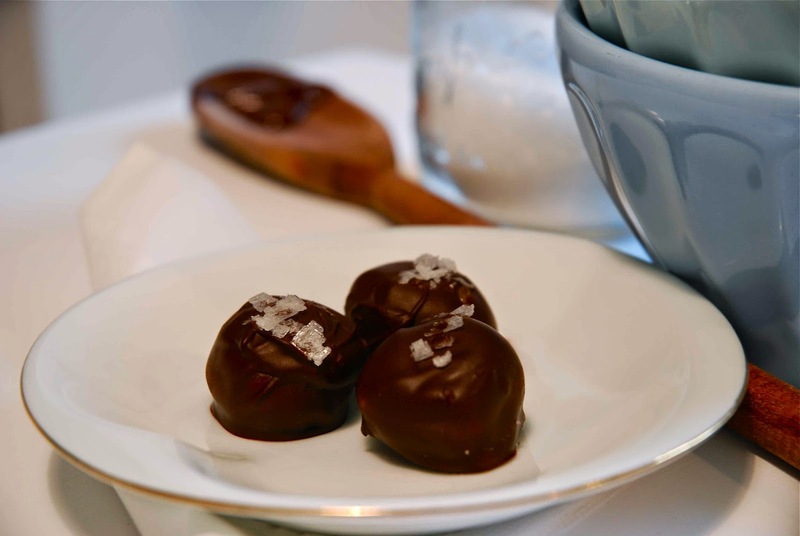 If you would like to make salted chocolate caramels like I have here, I suggest the Maldon Salt Flakes. The box is around $10, and the flakes are just so pretty. You can use Maldon on anything from soups to desserts as a lovely finishing salt. 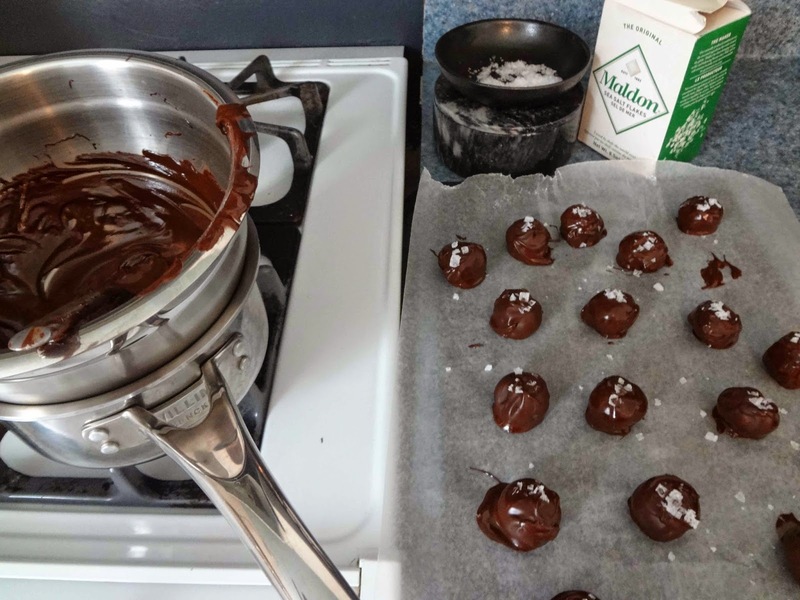 I really like the way these salted chocolates turned out. Salt it definitely my favourite topping. However, at Christmas I made a huge batch of these babies and I used all sorts of toppings; hazelnut flakes, crushed peanuts, toasted shredded coconut, and drizzled white chocolate. Hope you'll give candy making a try! It really is so much fun. 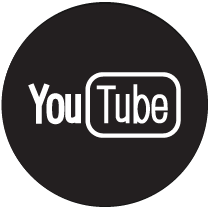 Come back to the 11th later this week for more candy making recipes and a short and simple post on refinishing wood. 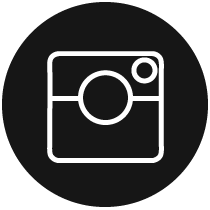 Don't forget to like the 11th apartment on Facebook and follow along on Instagram!